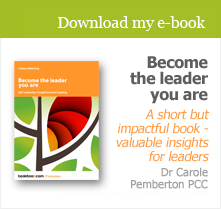 Executive coach Carole Pemberton for group events and programmes on the development of resilience in self and others, and coaching for resilience. Our approach is based on experiential learning, awareness of oneself and others, and a solutions-focused perspective as tools to help individuals manage their resilience and therefore their effectiveness. Executive coaches Katharine St John Brooks and Jo Bostock on the Coaching Matrix, which connects people who are experiencing coaching into a Matrix. This integrated approach drives improved performance and delivers faster, wider, better quality development for both the organisation and the individual. See the Matrix flyer here. Paul Siegenthaler: a specialist in M&A business integration, with a focus on pan-European mergers and acquisitions, providing leadership and delivery of complex international cross-functional programmes. Ferri Montana Ltd, a niche consulting practice focusing on organisational development, and offering services including: assessment of organisational effectiveness; organisational performance improvement; advice on and support for major change and transformation initiatives; assessing and improving employee engagement. Sheridans, a leading media law firm. Its expanding Employment Group has a wealth of experience across a number of industries, particularly in the media sector. The Group have a direct but personable approach to handling situations involving people and change, with a focus on delivering pragmatic and commercially driven advice.